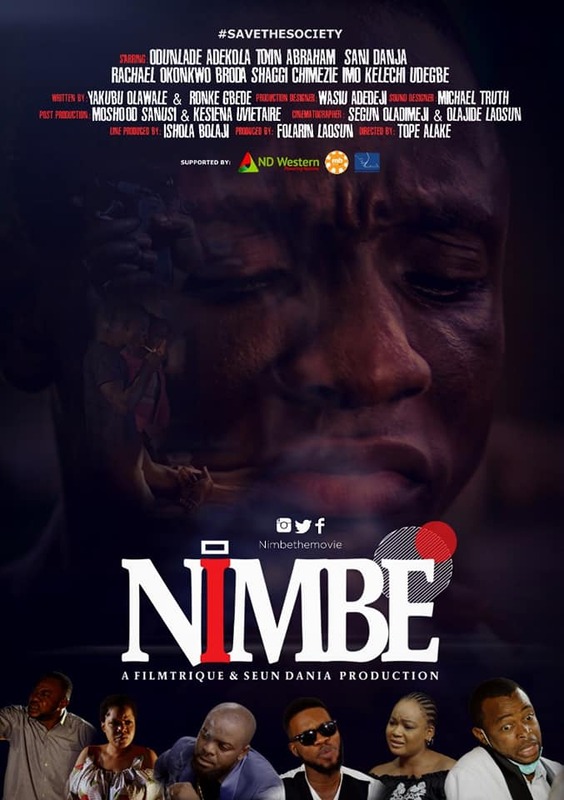 Braamfontein Alive: NIMBE: MOVIE PREMIERES ACROSS CINEMAS IN NIGERIA. NIMBE: MOVIE PREMIERES ACROSS CINEMAS IN NIGERIA. FELLOW NIGERIANS; THE WAIT IS OVER AS NIMBE PREMIERES ACROSS CINEMAS IN NIGERIA ON 29TH MARCH, 2019. GO ALL OUT AND SUPPORT A FILMTRIQUE AND SEUN DANIA PRODUCTION. THE MOVIE IS SO INTRIGUING , CAPTIVATING, EXPOSITORY ABOUT DRUG OR SUBSTANCE ABUSE AND YOU GONNA LOVE IT.